There are different editions to cover different requirements. While the Starter Edition covers all standard single user license and copy protection scenarios, the Basic Edition adds network license and feature licensing. The Professional Edition includes USB flash drive protection as well as running an own Activation Server. 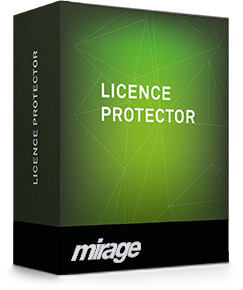 The MAC Edition protects MAC OS X application while Suite (Bundle of several applications) is the most comprehensive solution and includes different Licence Protector products and All-In-One Protector for decompile protection. If you want to protect applications without changing the source code, you would need All-In-One Protector.